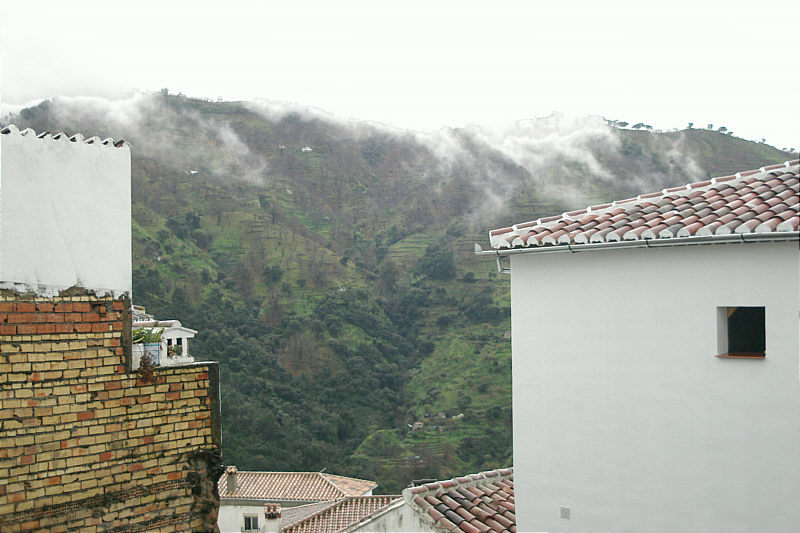 Photo: View from our window in Casa Rural Maria Muñoz. Eastern Mojave Vegetation View from our window in Casa Rural Maria Muñoz. I took this photograph in the morning as the clouds began to lift a bit; hopeful that the storm would break up in time for us to enjoy the Sierra Bermeja.